Lead vocalist for the indie rock band Kaiser Chiefs who became a coach on The Voice (UK) in 2013. 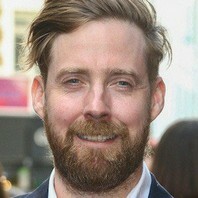 How much is Ricky Wilson worth? Lovely Easter Monday watching Clash of the Typos.